Here is a warm and intimate audiobook from one of the best known spiritual teachers of our time. 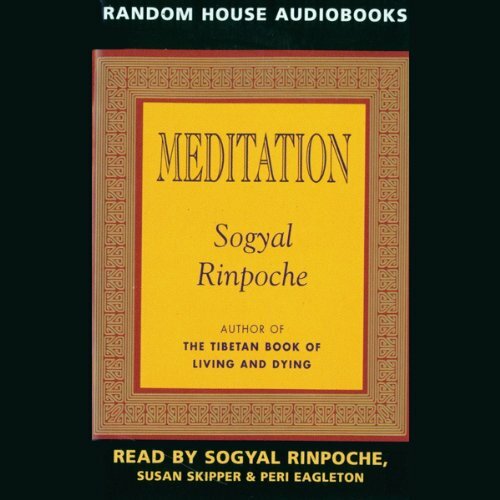 Meditation is taken from Sogyal Rinpoche's best seller The Tibetan Book of Living and Dying. For the many thousands of people today who are turning to meditation as an opportunity to deepen their spiritual lives, and for those wishing to discover a way of working with stress, Rinpoche's inspiring advice on meditation practice will be an essential guide.